A comprehensive Barcelona hotel guide. Barcelona can be one of the most overwhelming cities in Spain if you don’t know where to go, what to do (and eat! ), and, of course, where to stay. The first time I visited Barcelona back in 2007, I thought I’d made a safe bet by booking a reputable hotel chain in the city center– only to have a terrible experience of sleepless nights, kept awake by parties and street sweepers. 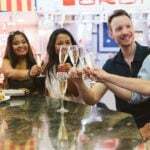 I learned my lesson, and through my twenty-some-odd stays in Barcelona over the past three years (while working on my company’s Devour Barcelona tours), I definitely have a good idea of where I like to stay in Barcelona and why! While there are 10 official districts in Barcelona, I’ve divided this guide into neighborhoods and areas– the way I refer to them. I don’t live in Barcelona, so please feel free to correct me– but these are the areas I personally like to stay in, and the hotels I would recommend in each. 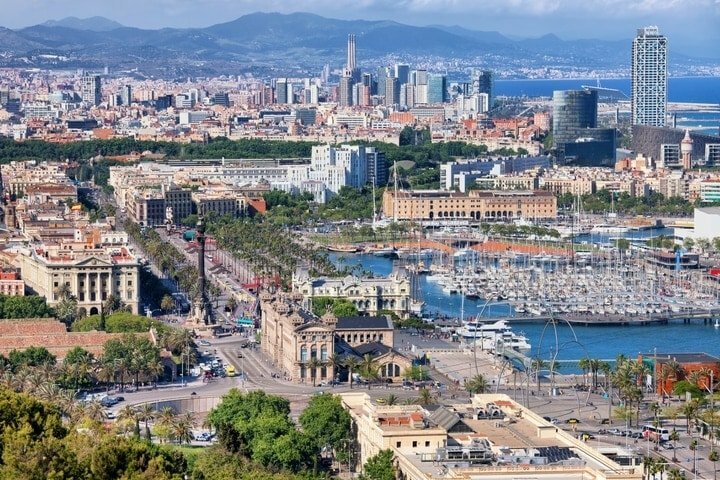 Luckily, Barcelona has something for everyone– the wide, regal streets of the Eixample, the bohemian Gracia neighborhood, the historic old town, and the beach-side Barceloneta. So whether you’re in Barcelona for one night or for an entire month, this guide on where to stay in Barcelona can help you choose the barrio that suits you best! Let’s start in one of the city’s oldest neighborhoods, the historic Gothic Quarter (El Gòtic). This is an obvious choice of where to stay in Barcelona given its prime location, but there are a few things to keep in mind. The Gothic Quarter is one of the city’s most touristed areas. The streets during summer are often crowded, and pickpockets are commonplace. Since many streets are narrow, there isn’t always a lot of natural light that comes into hotel rooms. That said, you can’t beat the location of the Gothic Quarter and the feel of being in this incredibly beautiful neighborhood. There are world-class shops and museums only steps away. Food wise, it’s not the best neighborhood (lots of tourist traps, unfortunately) but there are some diamonds in the rough (see below)! Where to Stay: The main avenue of the Gothic Quarter is called Les Rambles (Las Ramblas), and it’s surrounded by luxury hotels and hostels alike. Honestly, I wouldn’t skimp if deciding to stay in this part of town. You’ll get what you pay for. If trying to save, you might consider a guest apartment, which is a great choice when traveling as a family! Recommended: Hotel OhLa is hip and energetic, with a gorgeous rooftop pool, perfect for summer stays! The Mercer Hotel is a beautiful boutique hotel with a wonderful breakfast spread that will have you ready for the day. For a top luxury experience try The Wittmore, where no request is too small. And, while I haven’t stayed here myself, the location of the historic Hotel Neri is pretty incredible, in one of the Barcelona’s prettiest squares. Where to Eat: The cornerstone of the Gothic Quarter’s food scene is the Boqueria Market— Barcelona’s most famous food hall. While the market can get a bit crowded for my taste (Barcelona is home to many other great markets too!) there are still a lot of delicious bites to discover. And right down the street is one of the best places in town for rich Spanish hot chocolate, Granja Dulcinea. 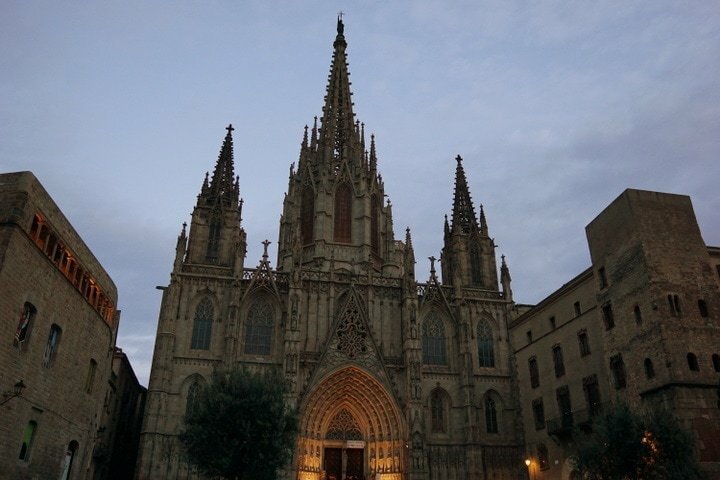 See more foodie tips for the Gothic Quarter on this Devour Barcelona guide! Insider Tip: To experience Barcelona’s amazing food and vibrant history in one special experience, try a Devour Barcelona Food Tour! Join us on tour to learn all about Barcelona’s fascinating history. Where to Drink: Try a vermouth at the traditional tapas bar, La Plata, as you begin your evening on the town. For cocktails, try Sor Rita— funky and quirky, you’ll rub shoulders with locals over 80’s pop music. 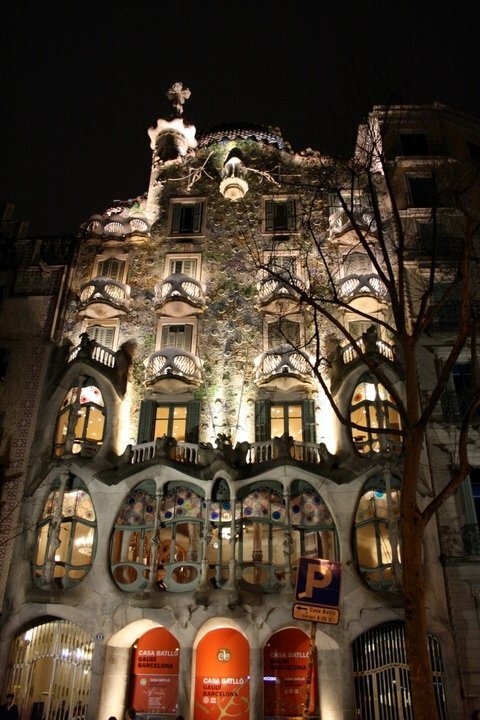 Located in the heart of historic Barcelona along with the Gothic Quarter, El Born is one of my favorite neighborhoods. Its medieval streets and artisan shops are a labyrinth of surprises, with plenty of delicious bakeries, tapas bars, wine bars and restaurants more than willing to open their doors to you to rest your tired feet. 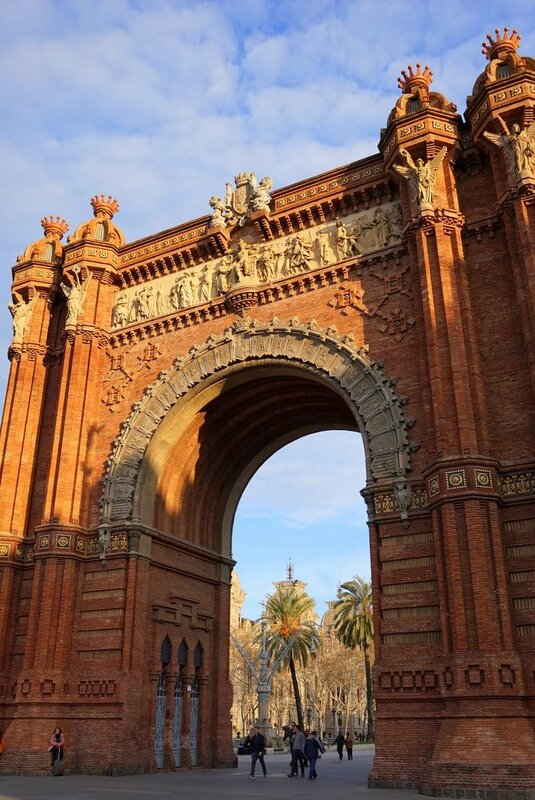 The gorgeous Arc de Triomf at the entrance to the Born. Where to Stay: This historic part of town is filled with boutique hotels, and I especially like to stay within a short walk of the historic Santa Caterina Market (better than the Boqueria if you ask me!). Recommended: The lovely K & K Picasso is a gorgeous space, just steps away from the lovely Ciutadella Park. 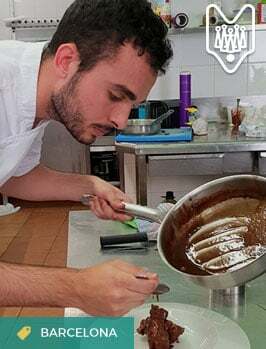 Where to Eat: El Born has a lot more to offer the foodie traveler than the Gothic Quarter (in my opinion), but you still have to do your research and know where to eat. I highly recommend a glass of wine at the tiny La Vinya del Senyor, located right across from the incredible Santa María del Mar basilica. For traditional Catalan tapas with a twist, try Bar del Pla. 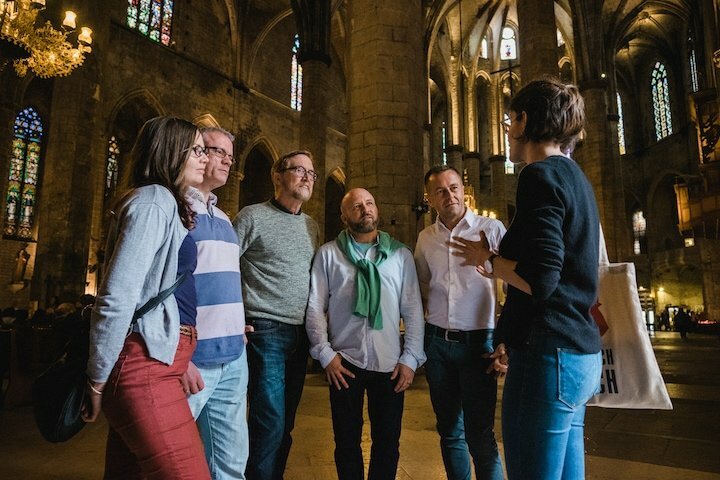 We visit the Born neighborhood on our Tapas and History of Barcelona Tour— the perfect way to learn the area’s fascinating history with a local foodie guide. Read More: For fantastic recommendations on where to eat in Barcelona’s El Born neighborhood, check out Where to Eat in El Born. Eating and drinking is a way of life here in Barcelona! Where to Drink: Dive into Barcelona’s natural wine scene at Can Cisa or Bar Brutal, or go for a cocktail at the quirky Collage Barcelona. For a hip version of the city’s classic vermouth, try Bormuth— great for tapas too. L’Eixample is huge, as it was first built as an expansion from the crowded old town, and hired some of the best city planners in the world for its innovative “super block” design. Today it’s broken up into separate sections– mainly left and right (Esquerra and Dreta). Either are a great place to stay in Barcelona, lined with the area’s signature enormous avenues, delicious restaurants, and boutique shops. If I had to choose between the two, I’d say to stay in L’Eixample Esquerra (the left side) because there is a lot going on in the evenings. Where to Stay: Because it’s so large, the L’Eixample neighborhood is perfect for good quality budget hotels and rental apartments, as well as some of the best luxury hotels in Barcelona. It definitely has the most on offer and is usually where I end up staying when in Barcelona. I don’t miss the crowded streets and nighttime noise of the city center, yet I’m only a short walk away. Stay in the Eixample and Gaudi’s work migh be your neighbor! Recommended: Some of the most popular luxury hotels in the Eixample are The Palace Hotel, the Olivia Balmes (with its dreamy rooftop pool), the ultra-luxe Mandarin Oriental, and the Hotel Omm. But this is a neighborhood with lots of options, and at the mid-range level, I love the Praktik hotels, especially the Praktik Vinoteca and Praktik Bakery (so delicious), which are both located in this part of town. And for great budget finds in the neighborhood, I generally pop over booking.com where something good is always on sale. I have had great luck reserving at the last minute with this website. Where to Eat: So many places! My favorite Japanese restaurant I’ve been to in Spain is here (Wakasa), Bar Mut and Bardot always have rave reviews, Ciudad Condal and Cerveceria Catalana are known for traditional tapas, and for Chinese cuisine try some of the eateries in Barcelona’s unofficial Chinatown, such as Qi Xin Mian Guan. Where to drink: Try Enric Granados street for hip cocktail bars and trendy restaurants, and for wine lovers, the world-famous Monvinic is a can’t miss. The “Village of Gracia” was indeed a separate village from Barcelona only a little more than 100 years ago. 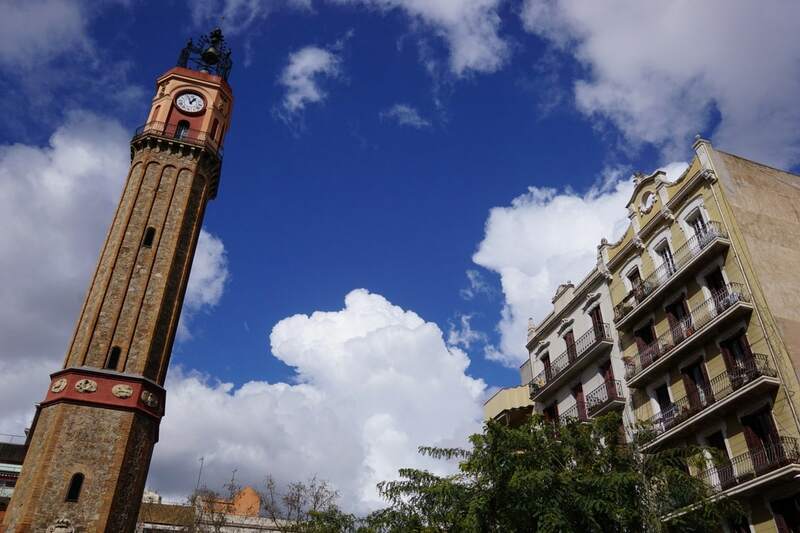 When the Eixample was built, the village was annexed to Barcelona, but the locals still consider themselves loyal to Gracia over the big city. This bohemian neighborhood is a paradox for me– on the one hand, you see many of the signs of traditional Catalan village life, and on the other hand you have the organic bakeries, juice bars and international restaurants you’d find only in a big city. It’s a wonderful place to stay, still only a 30-40 minute walk (or short metro/taxi ride) from the old town. I have a soft spot for Gracia because it’s where we planned our first Barcelona food tour, and I lived there for a couple of months in a rental apartment during the process. Where to Stay: Gracia is known for some great boutique hostels, and also some great hotels and rental apartments. Recommended: The Generator Hostel and Casa Gracia are great for hostel-goers, and also for couples or families on a budget. If you are looking for luxury, try Casa Fuster (known for being the place Woody Allen likes to jam out in the jazz bar). But I’d honestly recommend a rental apartment in this part of town, that’s what we’ve always done here and you will really feel like a local when staying that way in Gracia. 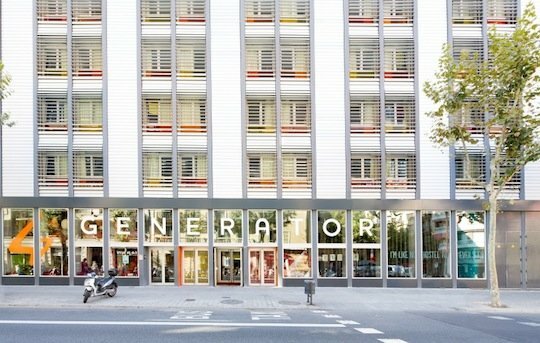 Welcome to Generator Hostels and Hotel– a great budget option! Where to Eat: I’m biased, but my biggest recommendation is to join our Gracia neighborhood food tour! 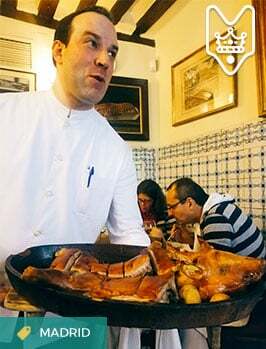 We’ll introduce you to 8+ local Gracia eateries and feed you delicious traditional foods. If you’re looking for even more, try some of my favorite restaurants in Gracia here. More Tips! For a guide to Barcelona’s food scene, don’t miss my Barcelona gastro guide! 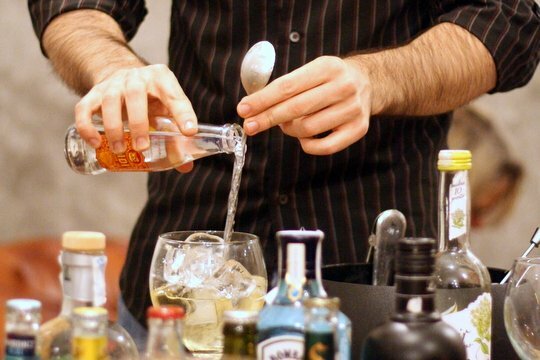 Where to Drink: Known for its down-to-earth nightlife scene, try Chivuos for a craft beer and sandwich, or Old Fashioned Gin & Cocktail Bar for a (very) fancy gin and tonic. 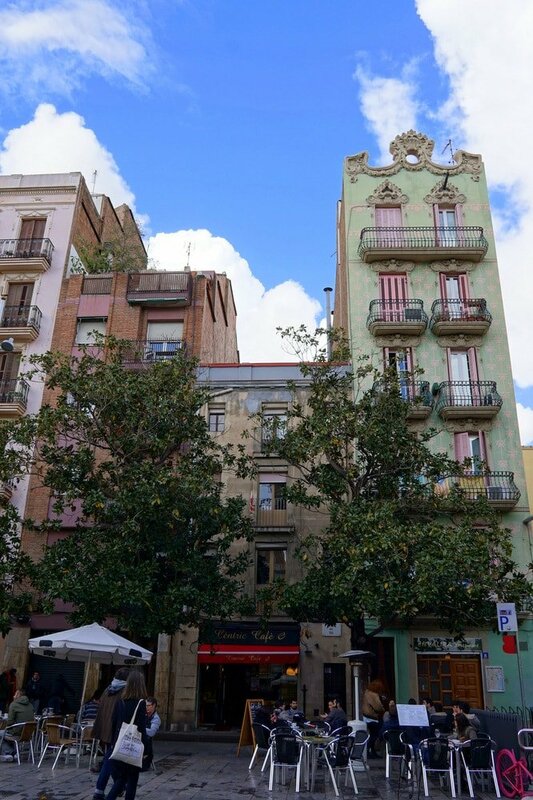 I’ve grouped these three neighborhoods together, as they border one another and are all great places to stay that are central, safe and quiet– far enough from the tourist trail to feel local, yet close enough to see and do everything on your Barcelona list. Not to mention the Poble-Sec neighborhood borders the beautiful Montjuïc! 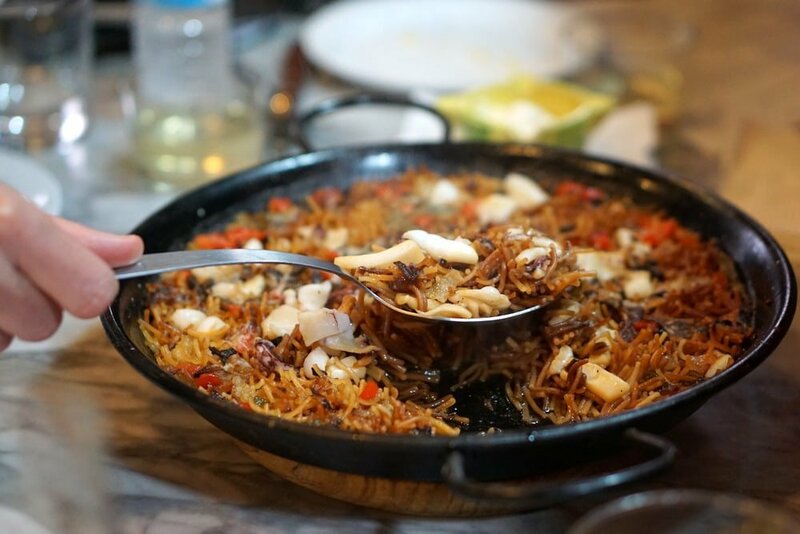 All are very old and traditional barrios, and while they may not have many famous monuments, they’re great for people watching and, importantly, food! 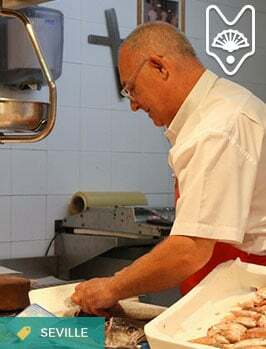 Nowadays these are also very multicultural areas, which means there are lots of options if you are tired of Catalan cuisine (though how could that happen?!). It is in this part of town that you’ll find everything from the cities cheapest pintxo bars and vermouth bodegas, to the fanciest restaurants by Albert Adría. 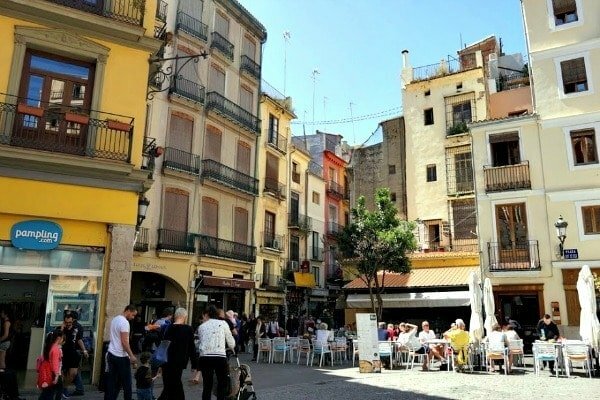 Theaters, markets, and cafés are also scattered throughout the area, and Sant Antoni is home to a new-ish wave of hipster cafés and eateries, including my favorite donut shop in Spain! Where to Stay: These neighborhoods are a great place to start looking if you are on a budget, as they’re home to some of Barcelona’s best budget hotels. This is where I’ve stayed when traveling last minute during high season when finding something reasonable seemed impossible! It’s also a great area to consider renting an apartment, as that’s definitely the best way to feel like a local here! Recommended: I have not stayed here personally (I opted for an apartment rental in this neighborhood) but have heard good things about the TWO Hotel Barcelona and Hotel Vueling. For something slightly more boutique, I’m very curious about the highly rated Hotel Brummell. Where to Eat: So many places! Check out my Barcelona dining guide for even more. But– some favorites– in Poble Sec try Can Margarit if you are a duck fan, for a truly unique and authentic experience. And, if it’s in the budget, sample one of Albert Adría’s restaurants, I’ve only been to Bodega 1900, but have heard great things about Pakta, and mixed reviews about Tickets. 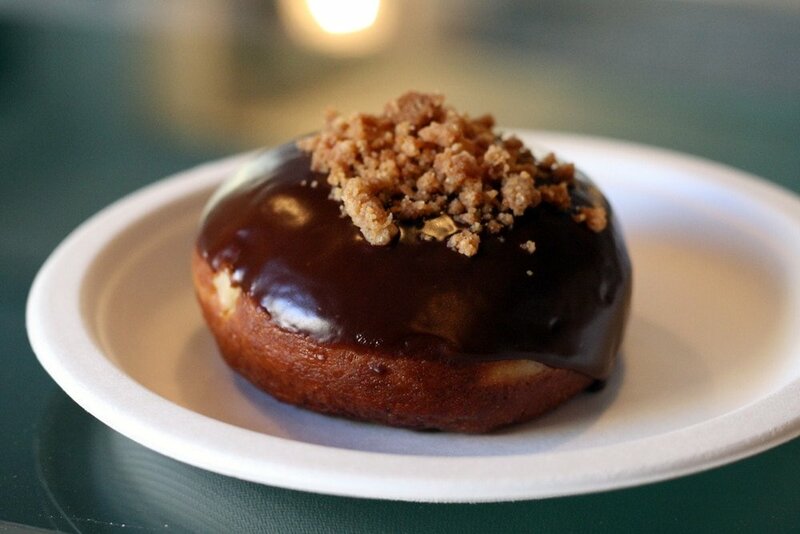 For amazing donuts in Sant Antoni, don’t miss La Donutería. And for another really traditional Catalan restaurant (think snails) try Can Cargolet. See more Poble Sec foodie tips here. Where to Drink: Again– so many places! In Sant Antoní try Bar Calders for their homemade vermouth or Fabrica Moritz for Barcelona’s signature beer. Going into Poble Sec you’ll find Barcelona’s famous “pintxos street” beloved by broke students looking for a cheap bite. Cheap doesn’t mean bad, though, and I’d recommend La Tasqueta de Blai. Another famous bar in this area is Quimet i Quimet— an amazing place, but get there early! Steps away from the most touristy stretch of Las Ramblas is the Raval neighborhood, one of the city’s most traditional and multicultural places to visit. Parts of the neighborhood are recently gentrified, with hipster coffee shops and vintage stores at every corner. But there are also some rough patches, and it’s not a place I’d (personally) walk alone at night. That said, it’s one of the most interesting and fun neighborhoods in town, and definitely a great place to stay– as central as it gets! Where to Stay: There are plenty of nice hotels in the Raval neighborhood, and also lots of rental apartments and budget options. In this part of town, it pays to do your research, both for location and quality. There are a lot of dodgy cheap accommodations masquerading as value properties. Recommended: The Hotel Barceló Raval and the Hotel 1898 are great places to stay, conveniently located near the city’s best sights. Where to Eat: El Raval is home to a huge variety of Barcelona restaurants. From traditional vermouth bars to a variety of international spots, you won’t get bored here! Try A Tu Bola for a taste of Israeli street food in Barcelona, or Suculent for creative Catalan cuisine. Where to Drink: Bar Cañete is a MUST for a vermouth and tapas, try Caravelle for a craft beer or cocktails. You might expect Barcelona’s beachside neighborhood to be one of the city’s most luxurious– but this isn’t the case. The seaside Barceloneta quarter developed as a poor fisherman’s quarter and is still known for its small, worn apartment buildings with the laundry hung out to dry. That said, it’s one of the most authentic and community-oriented neighborhoods in town (though more and more filled with immature tourists, bothering local residents). If you stay here please be respectful of the neighbors, and don’t give them more to complain about! Where to Stay: I’m not the biggest fan of staying in La Barceloneta– especially since it’s so close to some of the city’s other neighborhoods. This is an area where tourists have really done damage to the city, and locals are quite upset. If you do stay here, please make sure you rent a legal rental apartment (they should have an official number on their listing) or stay in a local hotel. Recommended: If I were to stay in this area, I’d love to try the luxurious W Barcelona, or the highly recommended H10 Port Vell or Hotel Oasis. Where to Eat: This is one of the best neighborhoods for (wait for it…) seafood! Big surprise, huh? 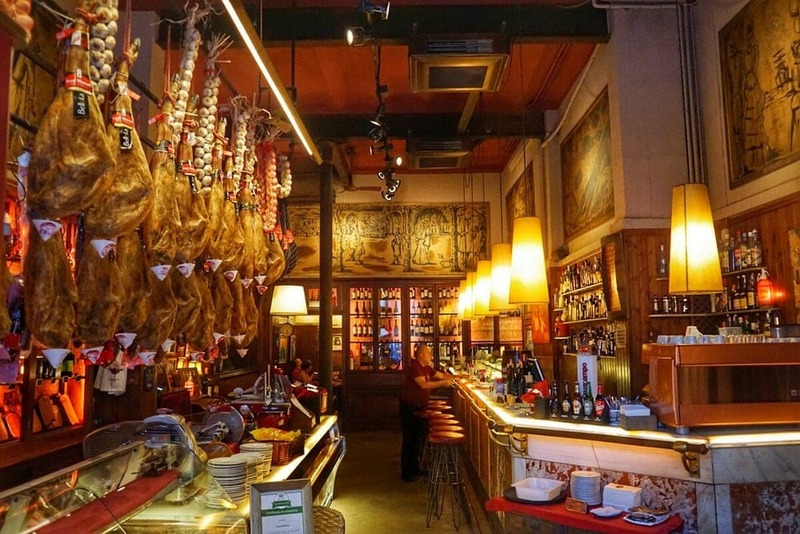 It’s also home to some of the most charming and authentic bars and bodegas in Barcelona. For food, try the delicious cuisine made by “Mama Carmen” at Cal Papi (we taste her famous secret fideúa (the local version of paella) on our Tastes, Tapas and Traditions of Barcelona Food Tour), another good bet for a paella or similar rice dish is the famous Can Sole, founded in 1903. It’s also obligatory to try the “bomba” (a giant meat filled croquette) at La Cova Fumada or La Bombeta. TOP TIP! Discover the fascinating history, traditions, and food of this incredible neighborhood on our Tastes, Tapas and Traditions of Barcelona food tour— a 3.5-hour journey into the real Barcelona! Where to Drink: Eating and drinking go together in this neighborhood, but some of the musts are: Bodega Electricitat, Bodega Fermin, and El Xampenyet. Where do you stay in Barcelona? Do you have a great suggestion for where to stay in Barcelona? Any amazing local haunts that I missed? I’d love to hear about your discoveries in the comments! Pingback: 5 Barcelona Bites Fit for a Food Tour - An Insider's Spain Travel Blog & Spain Food Blog! Pingback: La Pepita: A Barcelona Tapas Bar in Gracia - An Insider's Spain Travel Blog & Spain Food Blog! Pingback: Generator Hostel Barcelona: Luxury Suites in a Barcelona Hostel - An Insider's Spain Travel Blog & Spain Food Blog! Pingback: My Barcelona Food Dreams - An Insider's Spain Travel Blog & Spain Food Blog! I am hoping to take a cruise out of Barcelona (late summer). Just to make sure we give ourselves plenty of time…we will have a day in Barcelona on both ends. Can you please advise me which of these neighborhoods that you mentioned above is close to where the ships port? Also, thanks for all the wonderful information. I love your blog. Try the Barceloneta neighborhood! Otherwise anywhere above is very accessible by taxi or metro! Been to BCN twice and have stayed in the Sant Antoni neighborhood at Hotel Market each time. Great little boutique hotel and reasonably priced. Huge fan of Bar Ramon across the street to eat– and the aforementioned Bar Calders has the best GinTonic I’ve ever had. I happen to be vegan and about to come to BCN with my non-vegan boyfriend. 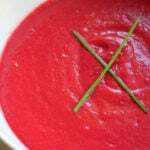 how can i survive on vegetables when we go out to eat – is there tips you have for the veggie crowd? XO thank you! Anywhere in the city center has amazing food and drink shopping nearby – any of Barcelona’s local markets would be a perfect place to start! Enjoy your trip! Malaga might work- also the islands! Of course the Canaries would be great, and the Balearic Islands are also amazing (but cold in winter) like Mallorca or Menorca. Thanks Lauren, can you offer any recommendations on the Tarragona area ? I’m afraid I don’t have much experience there – but hope you enjoy! Thanks for the great article. We are a family of 4 (2 adults, a 11 year old and a 15 year old) and will be in Barcelona for 5 days in late June 2019. We are thinking that SANT ANTONI/PARAL.LEL/POBLE SEC NEIGHBORHOOD might be the best neighborhood for us. We want to stay in a neighborhood where we can eat and drink with the locals. We don’t need a party scene. We’d rather not pay tourist prices for fodd & drink. Speaking Spanish and finding out what it’s like to maybe one day live in Barcelona would be at the top of our list of things to do. Would that be the right neighborhood for us based on those priorities? Hi Troy! That’s a great neighborhood choice (it’s the neighborhood where we lead our Tapas Like a Local Tour in Barcelona actually!). Other great options would be the Eixample or Gracia – both have plenty of local flavor. The Born, Gothic and Barceloneta are more touristy (but also great!). Hello my husband and I are going to Barcelona in Feb 2019 for the first time. Wondering where to stay? We want to experience the local beautiful architecture but not wanting to be on a real noisy party area. Any help would be appreciated. I’d chose the Eixample, and make sure it’s a room/apartment that’s high enough. That will help with any noise! Thank you for your response I am currently looking at the Praktik properties any suggestions regarding those what might be closest to the attractions? It depends – there is one in the old town but then the Bakery one and Vinoteca ones are in the Eixample. The Bakery is closer to a lot of Gaudí buildings and high-end shopping, and the one in the old town is closer to Boqueria and the Cathedral etc. Barcelona isn’t too large though, I’d personally recommend the Bakery one above all. Thank you so much for the response. I currently have 3 reservation but I’m nervous I’m picking the right spots as I’ve never been there. I have one at the hotel colonial one at Lloret ramblas and one at Grupotel Gravina. Out of those 3 are any good, bad? What about north Barcelona Lauren? I absolutely adore Horta though admittedly there aren’t many hotels up there, would recommend Garden House hostel but beware the 10 day max there. As for Tarragona, there’s a few hotels dotted about, the most prominent is the whopping great SB Hotel right by the bus station. Hope this helps anyone going down to Tarragona; it’s hilly and sometimes windy but great views of the Med and yes, palms plenty of palms and Roman ruins if you like your history. Thanks for the tips! In all my back and forth to Barcelona I’ve never stayed in the north, but will definitely consider in the future! Lauren…I am planning a July 2019 trip to Barcelona, which will be my first trip to Europe. While I want to experience as much as I can of this amazing city, at the end of the day I definitely want a traditional hotel that is a quiet place to sleep. It sounds like the Born neighborhood is the best bet? Whichever neighborhood you would recommend for quiet, which are your favorite hotels in that area? As soon as I book the trip I will be probably joining you on a Devour food tour! Thank you for your time. Hi Paul! Thanks for reading. For quiet I would definitely recommend the Eixample neighborhood, as it has larger hotels and wider avenues. The old town (Born and Gothic) have narrow streets and often a lot of noise at night. There are lots of excellent hotels in the Eixample – I would look by your price range and star level on Booking.com to see all options.